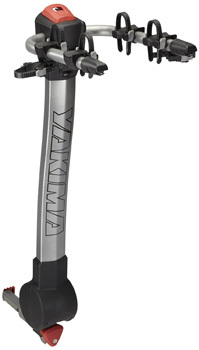 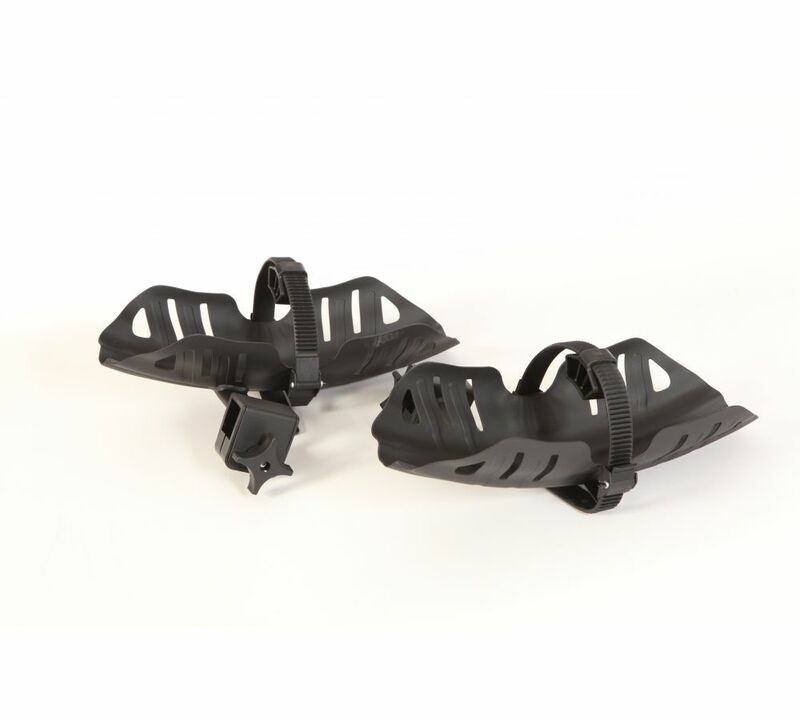 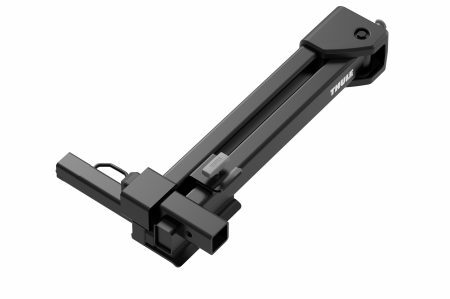 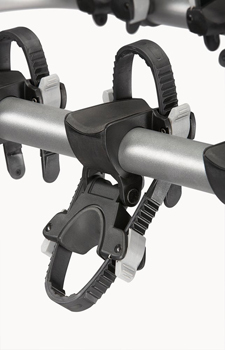 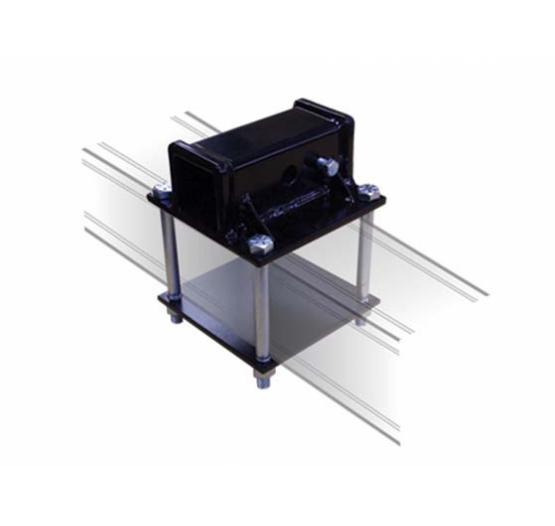 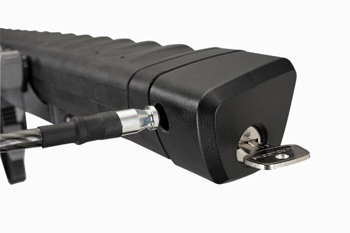 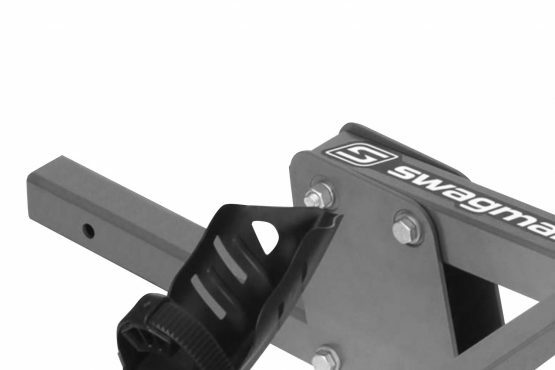 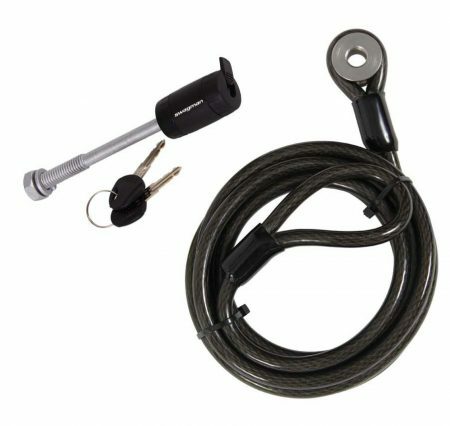 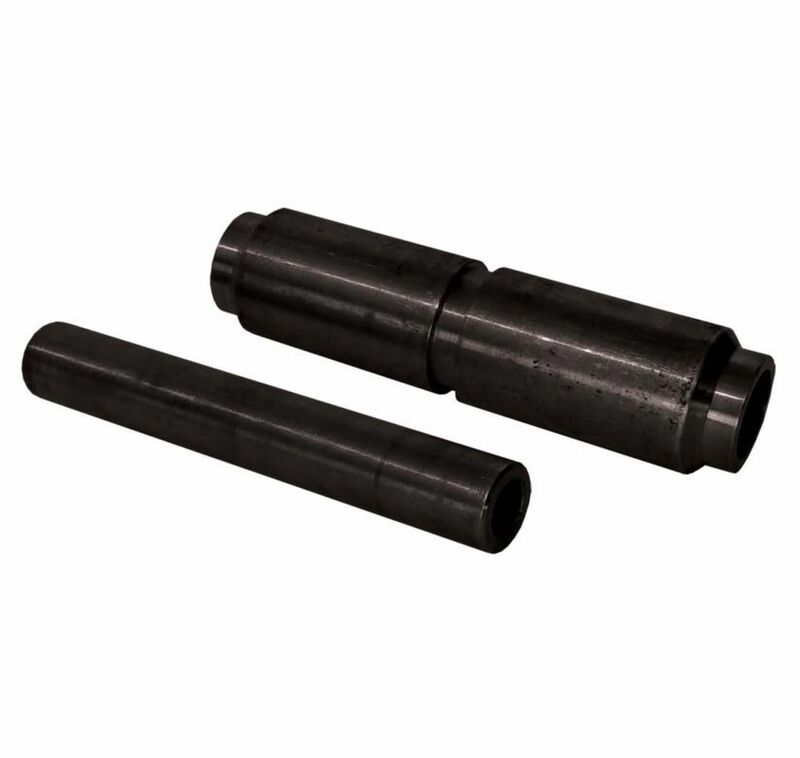 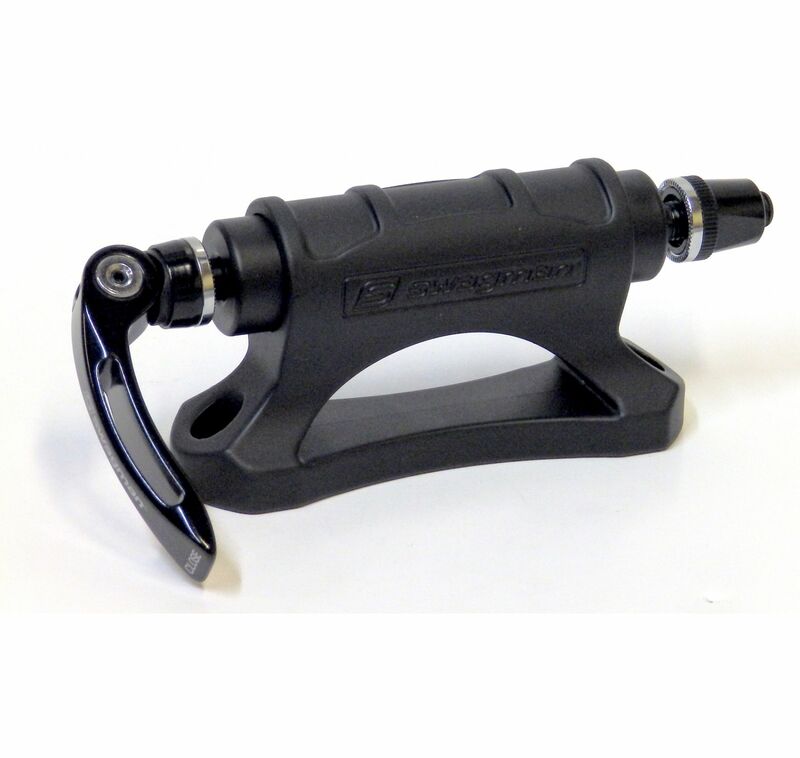 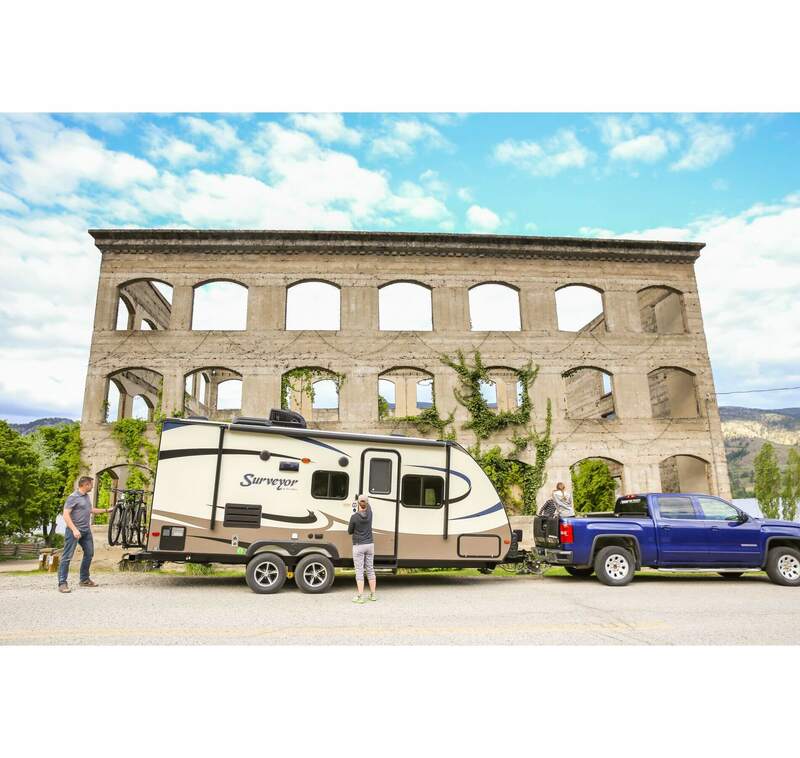 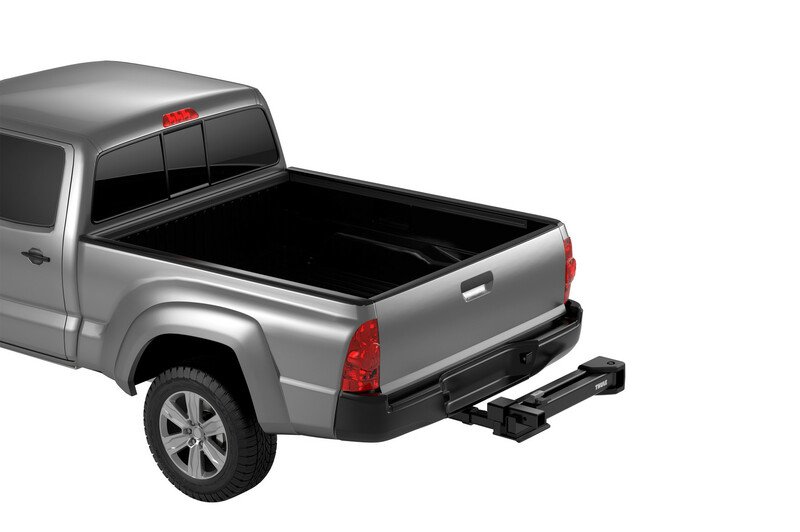 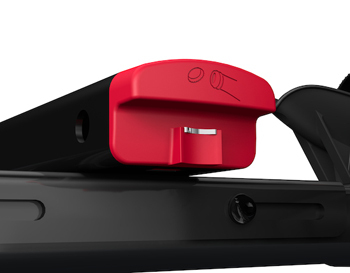 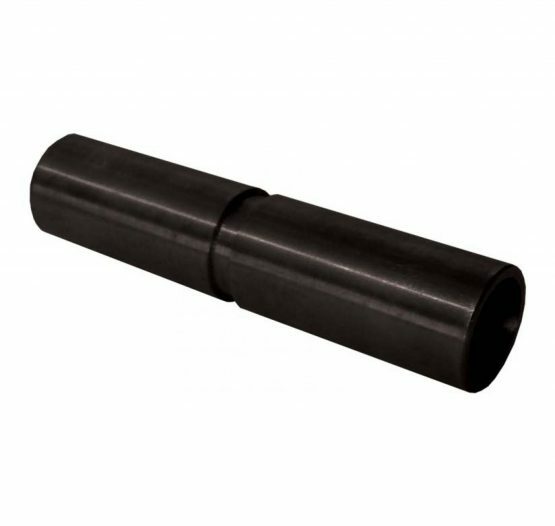 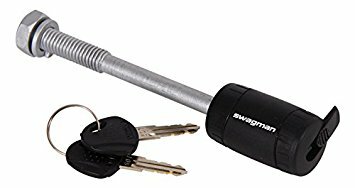 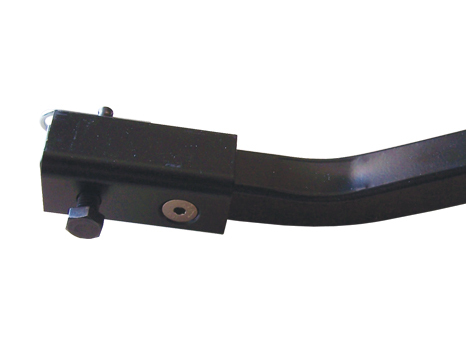 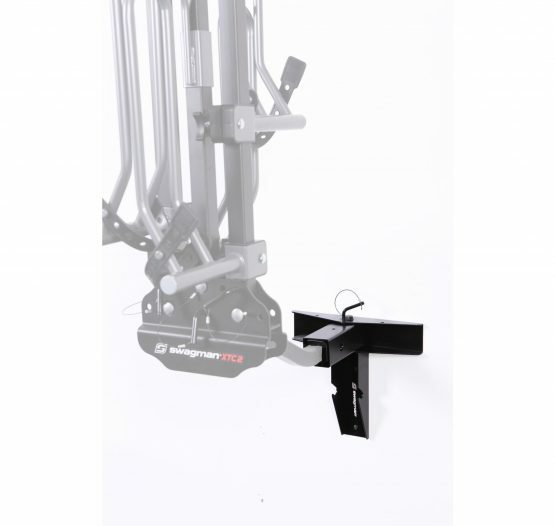 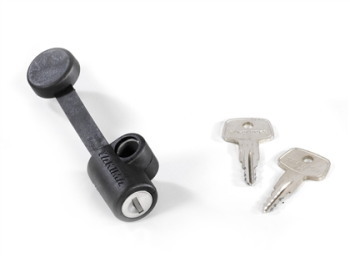 Simple yet durable design allows for fas installation or removal with a rugged strap system. 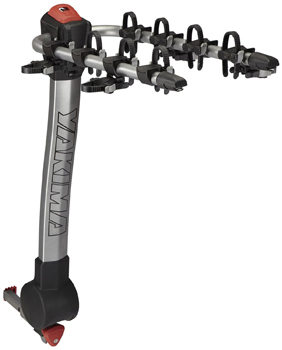 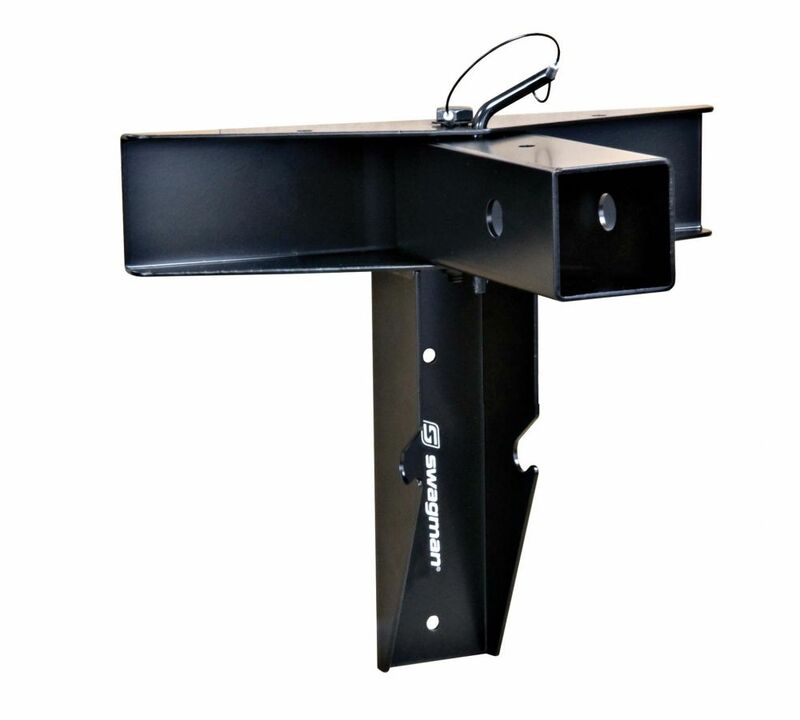 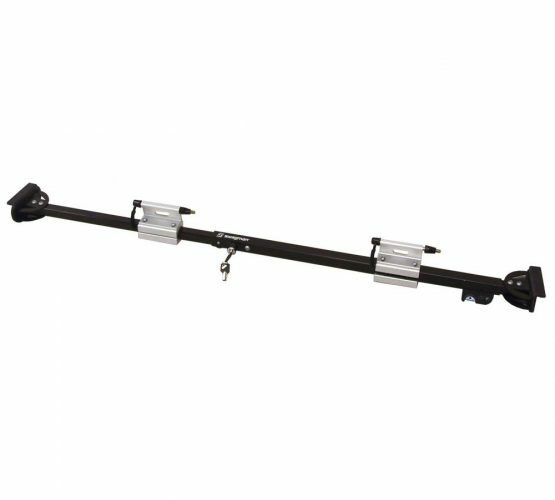 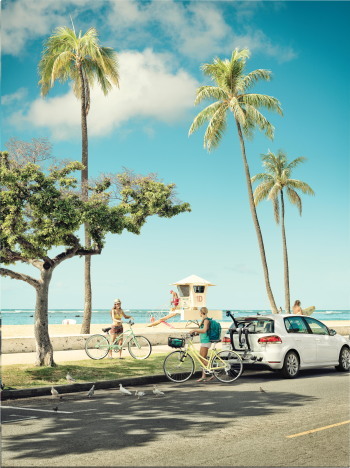 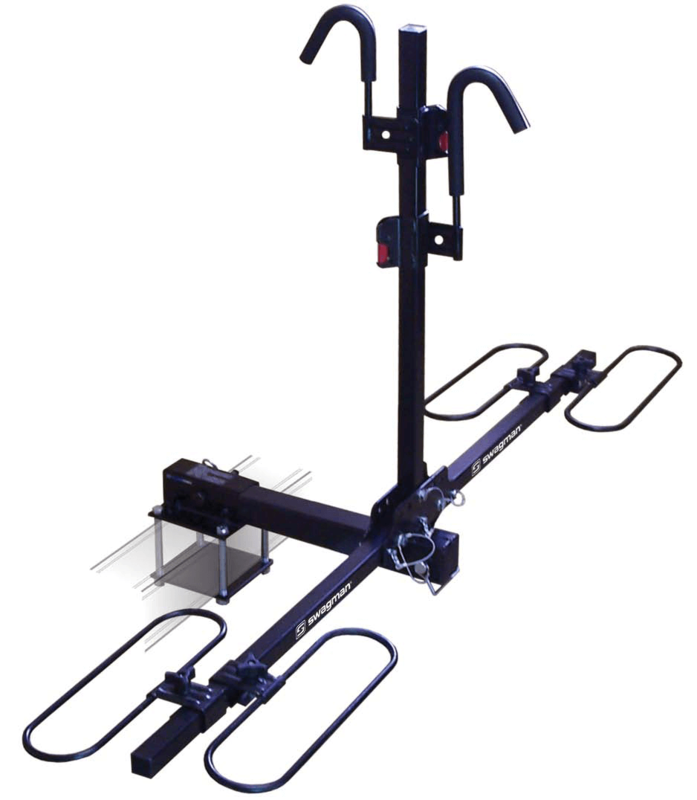 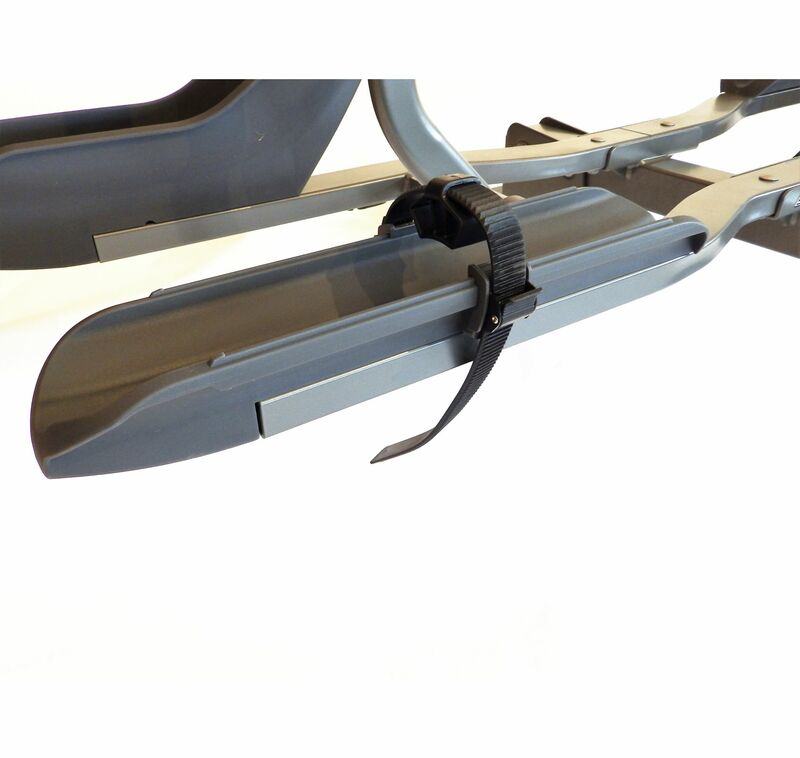 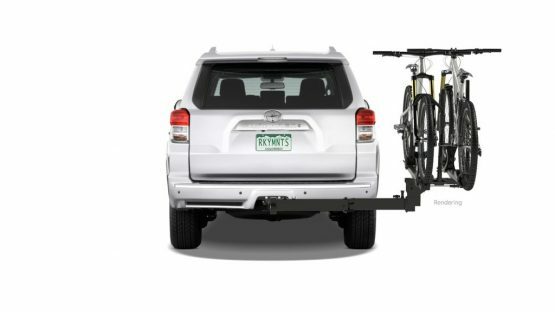 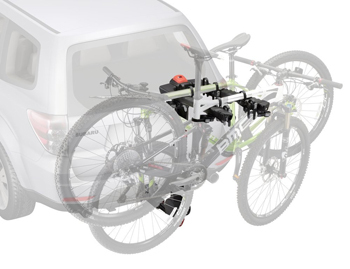 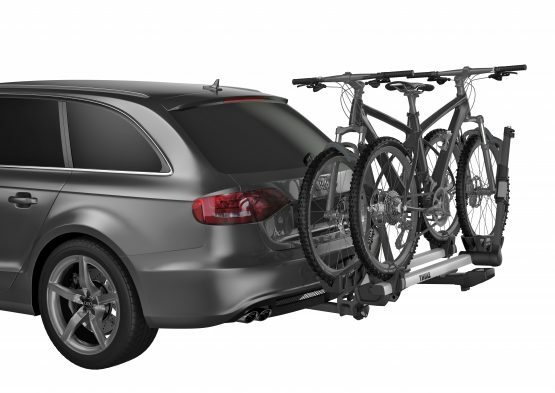 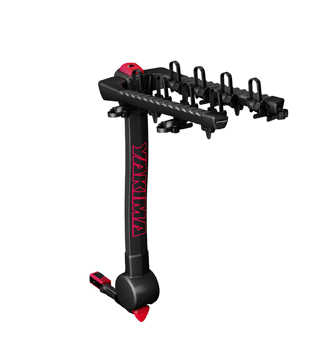 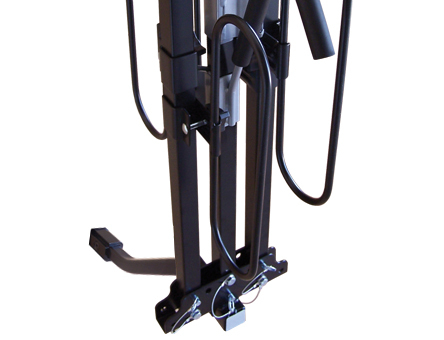 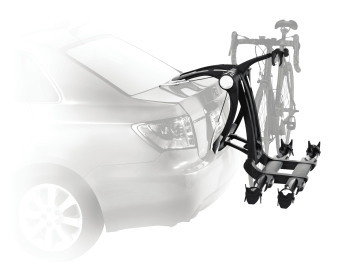 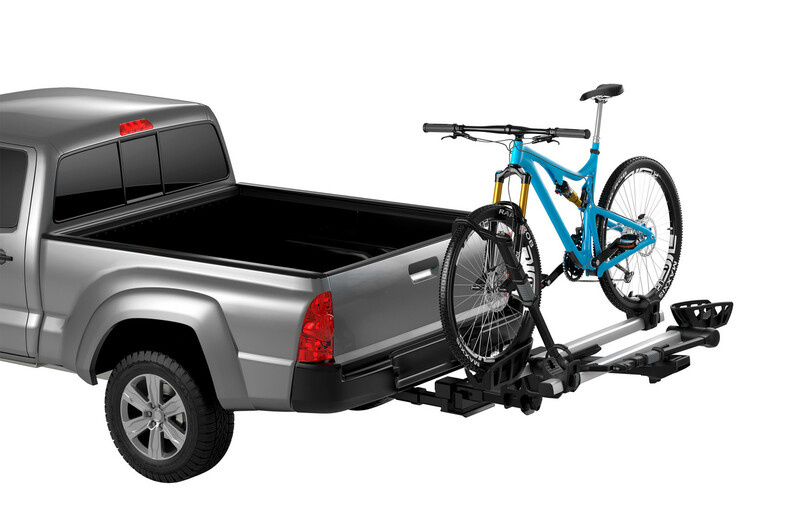 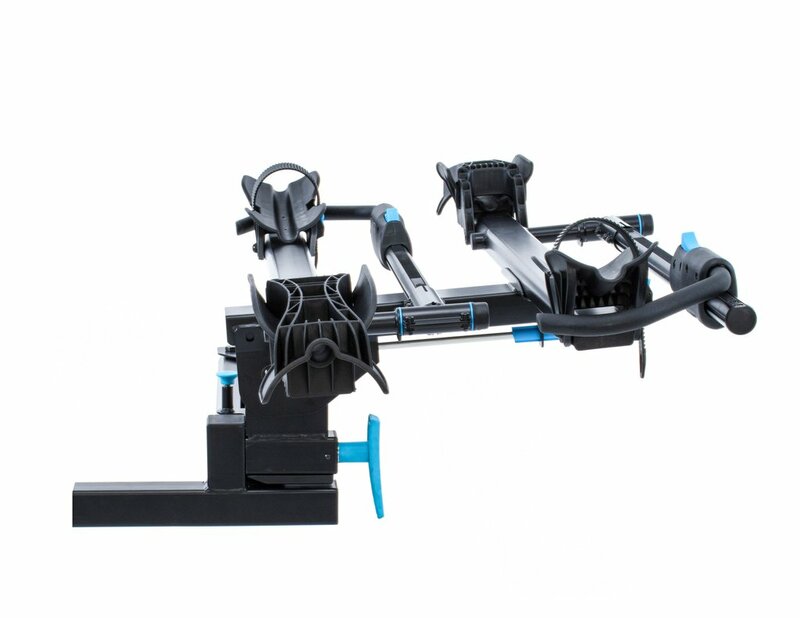 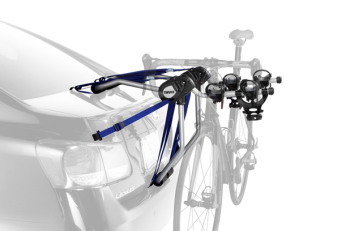 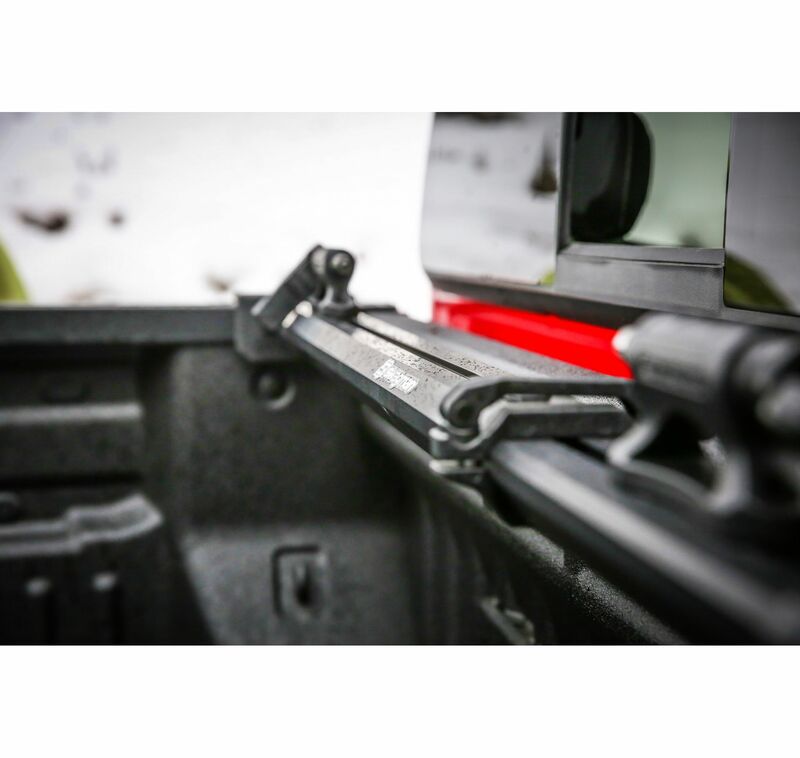 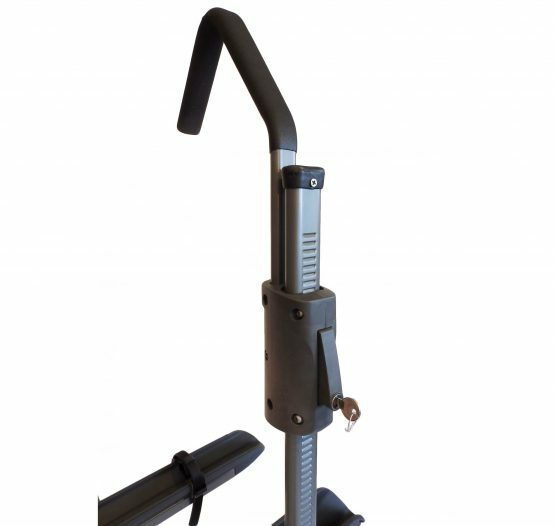 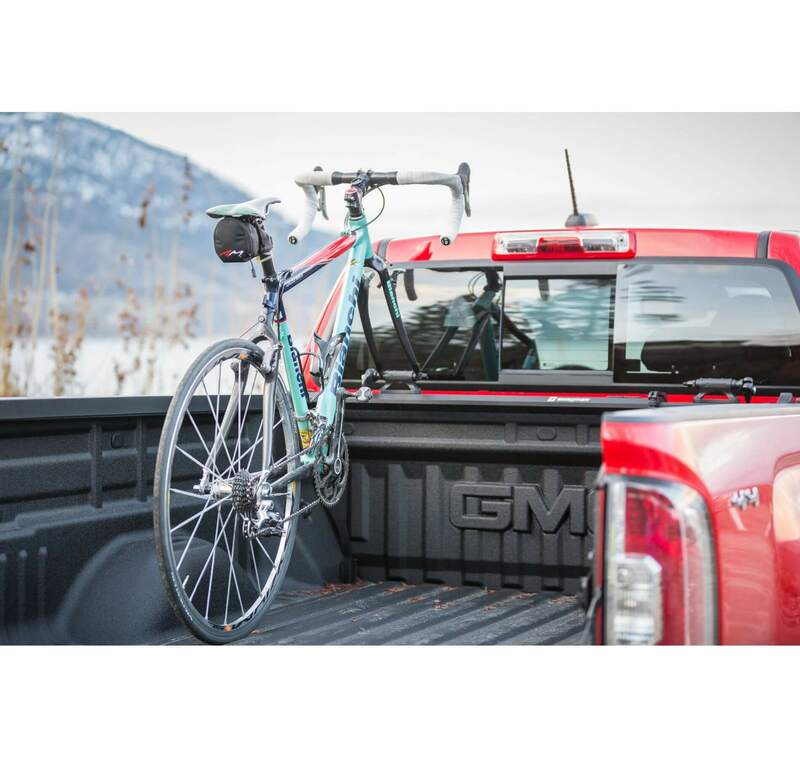 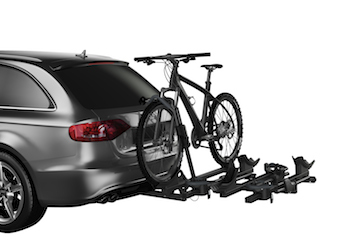 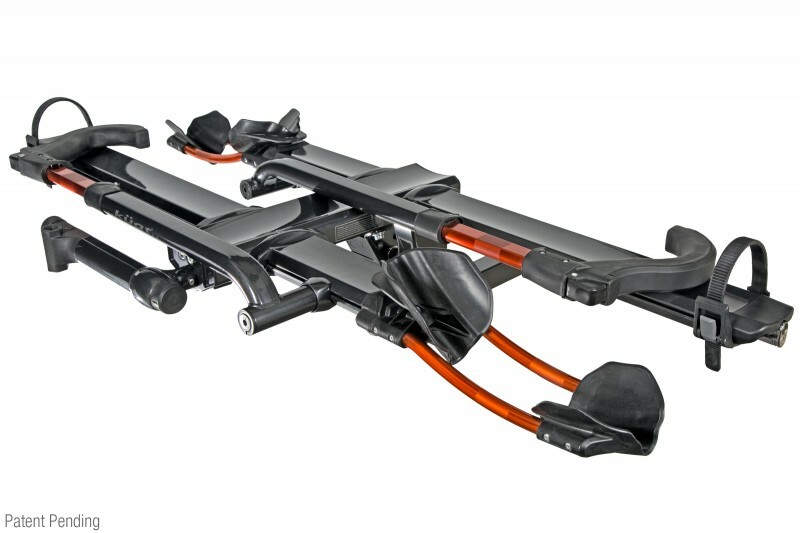 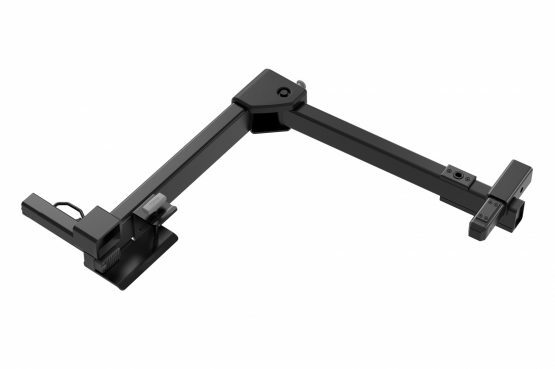 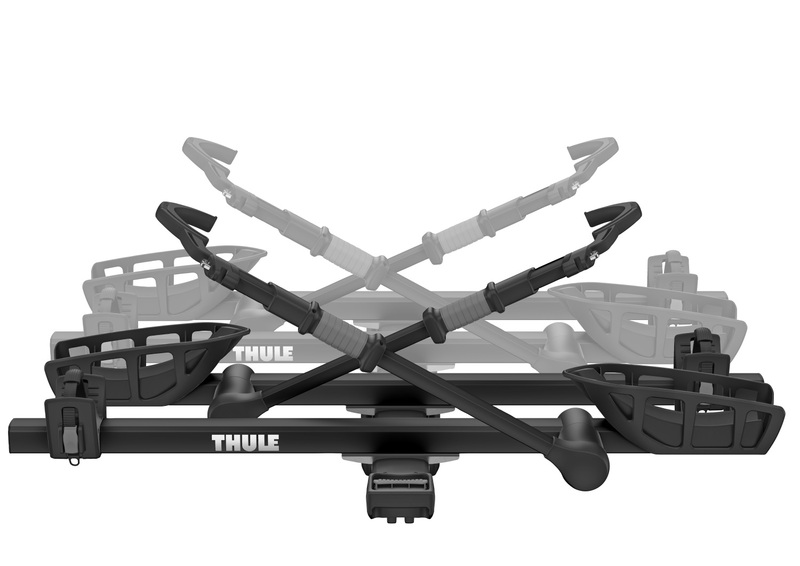 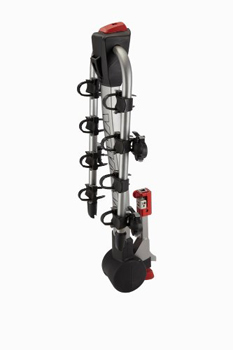 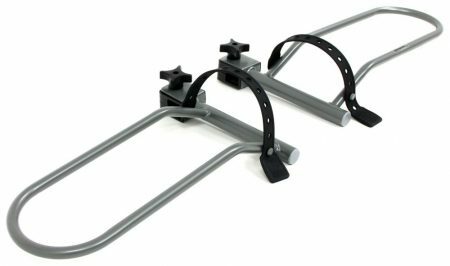 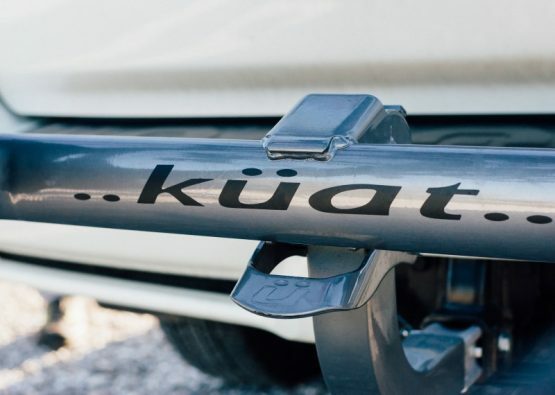 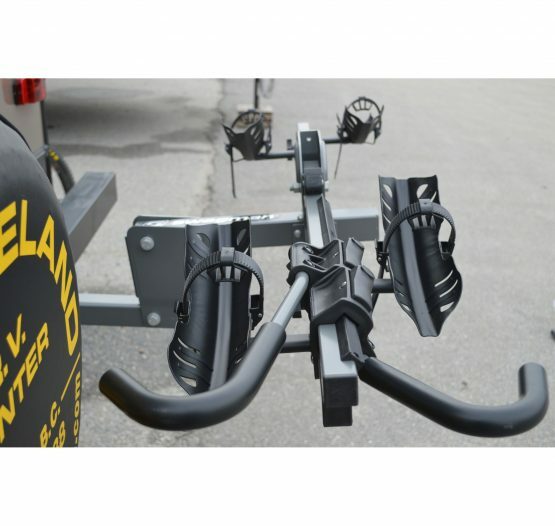 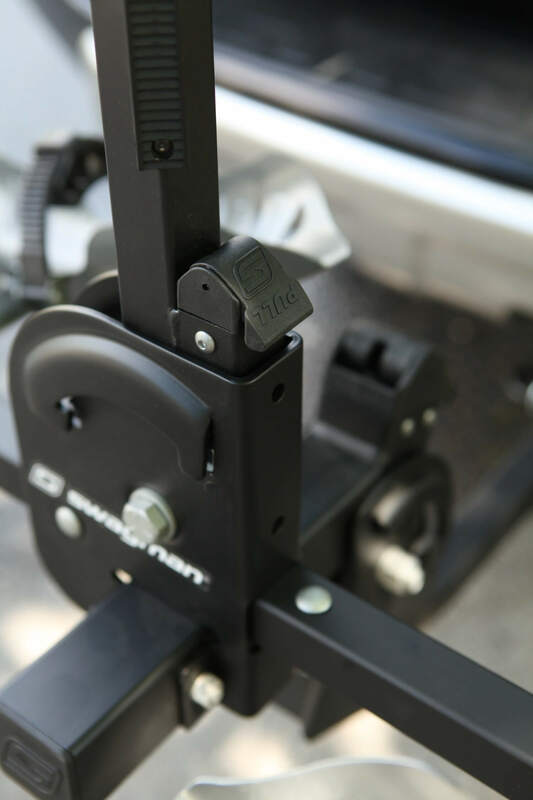 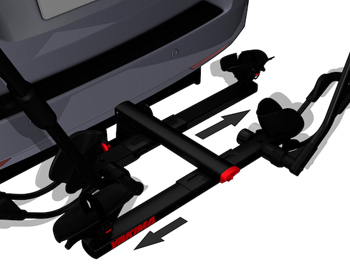 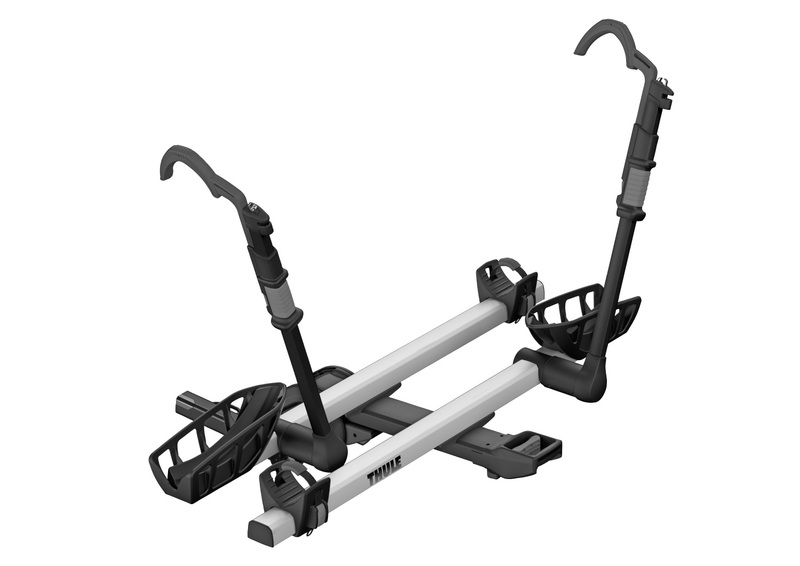 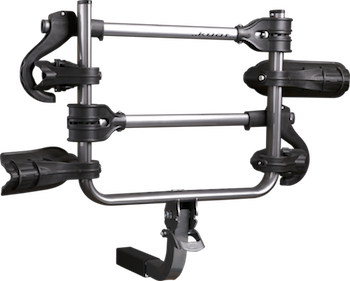 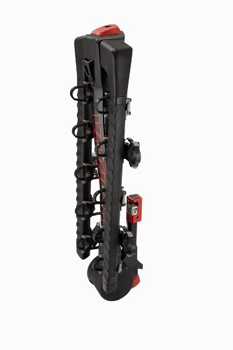 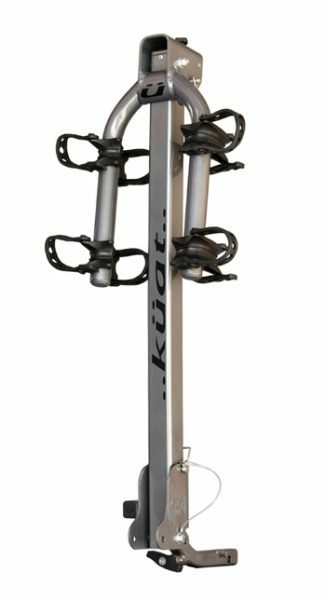 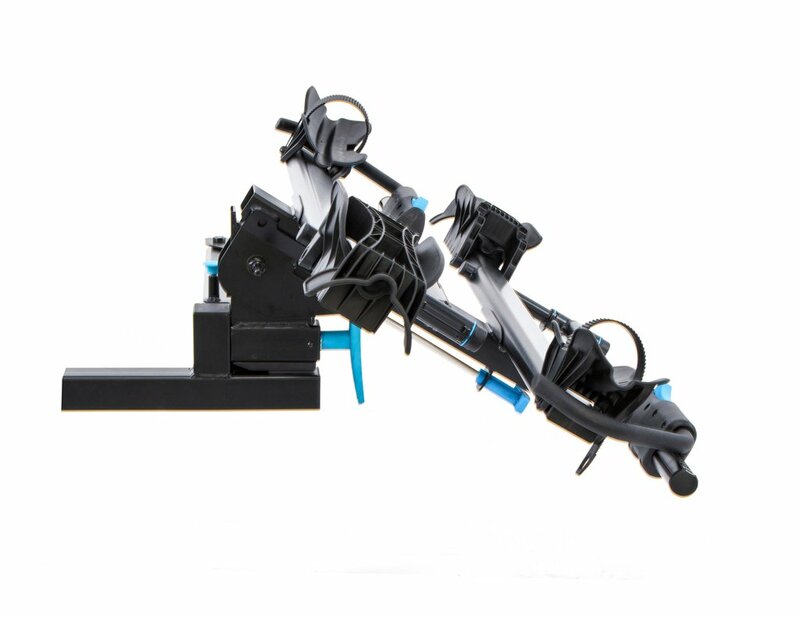 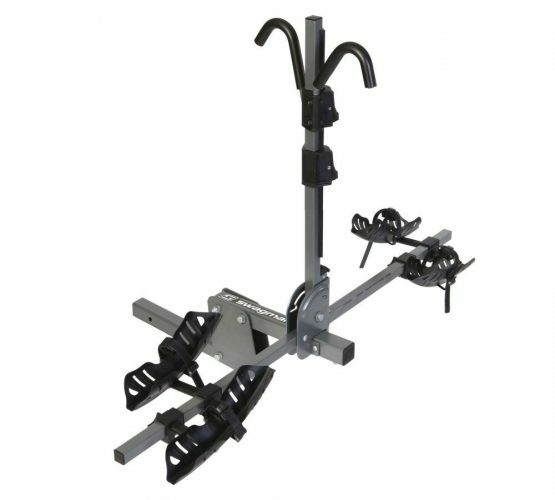 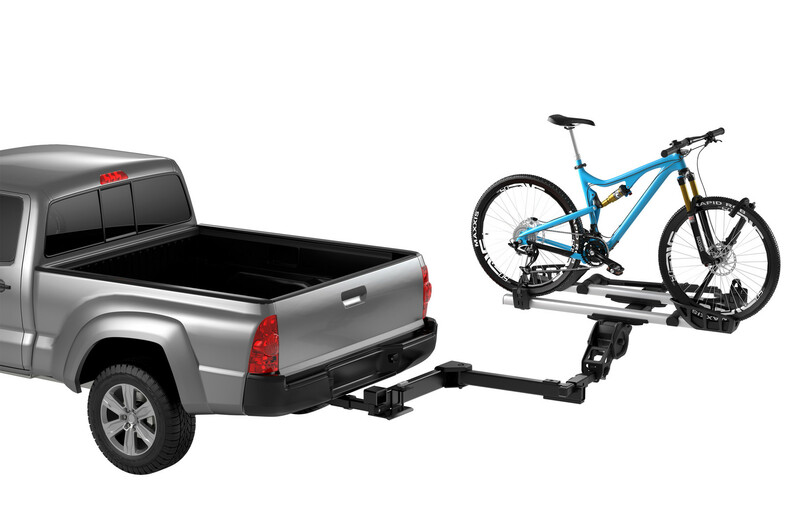 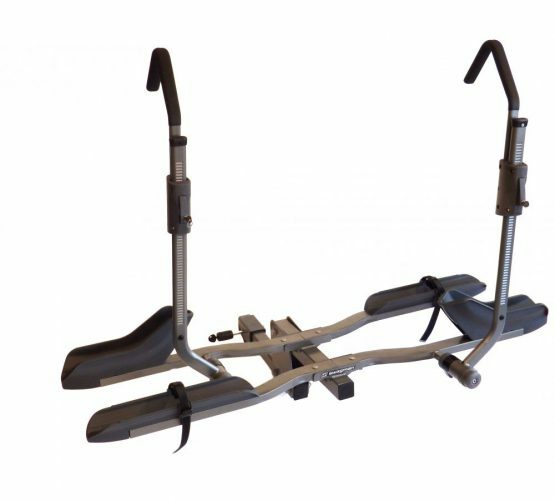 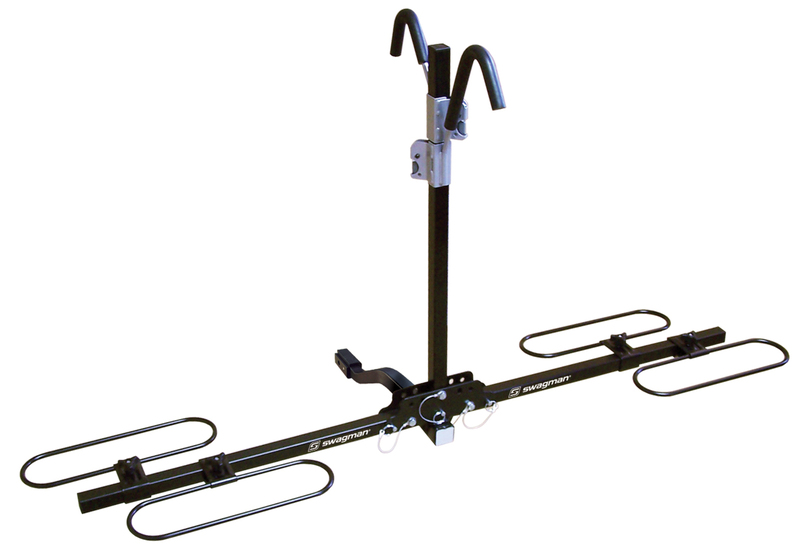 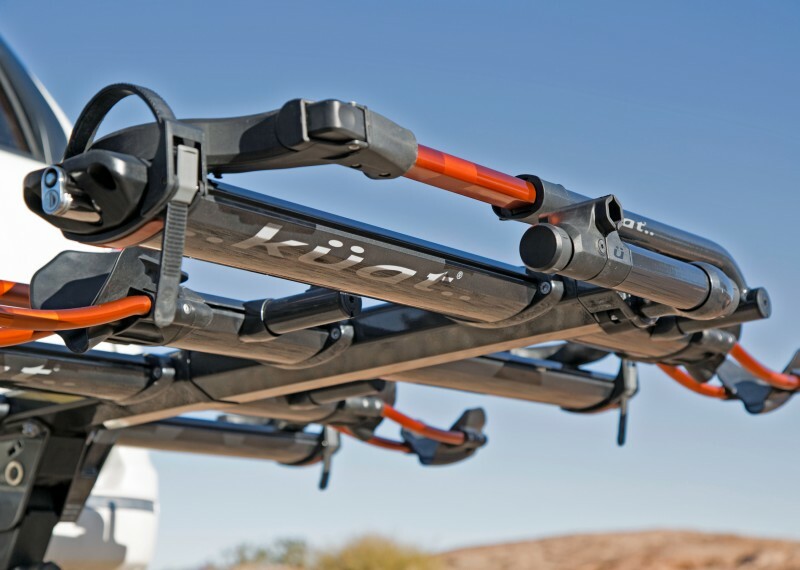 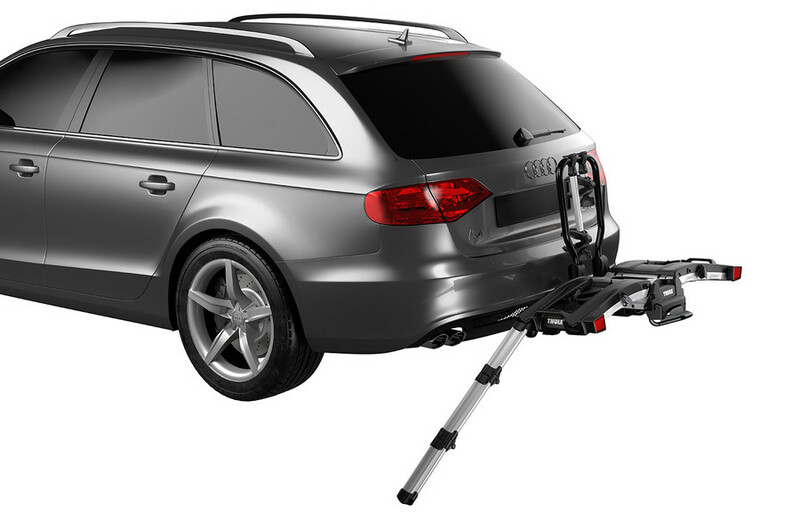 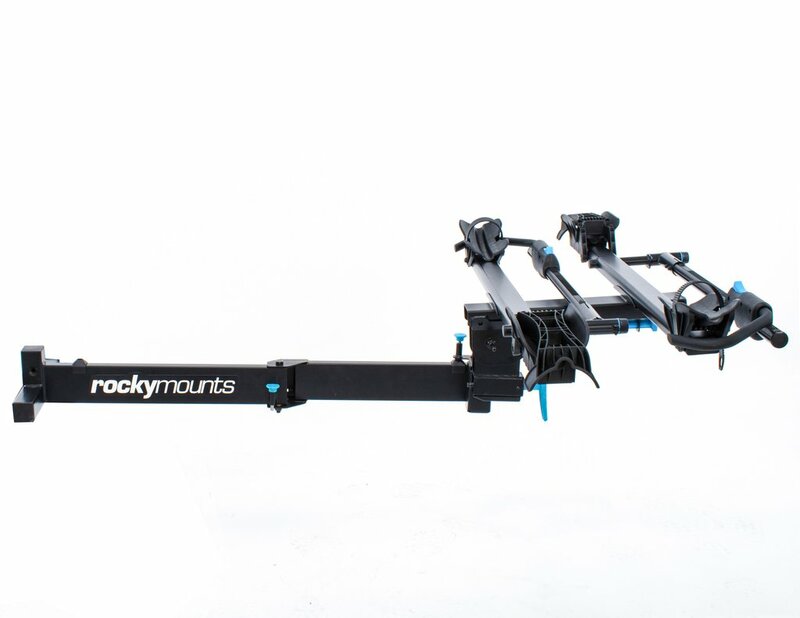 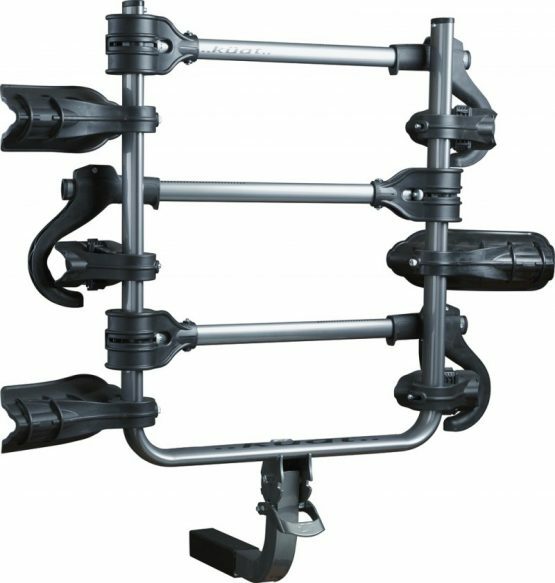 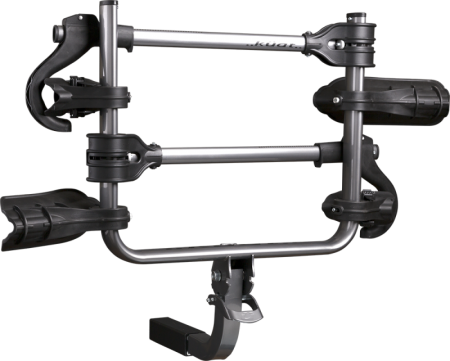 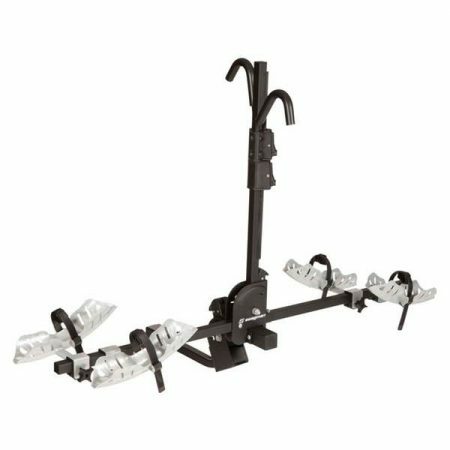 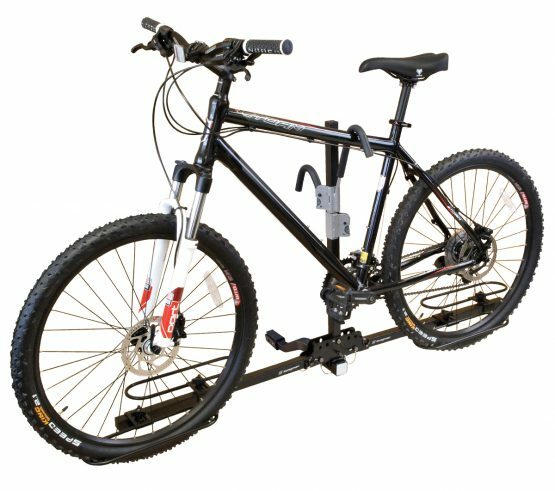 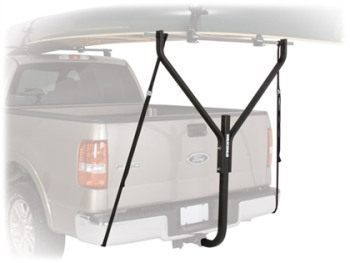 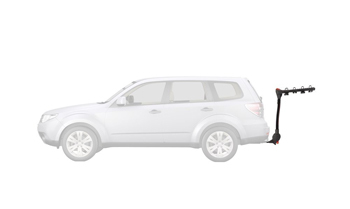 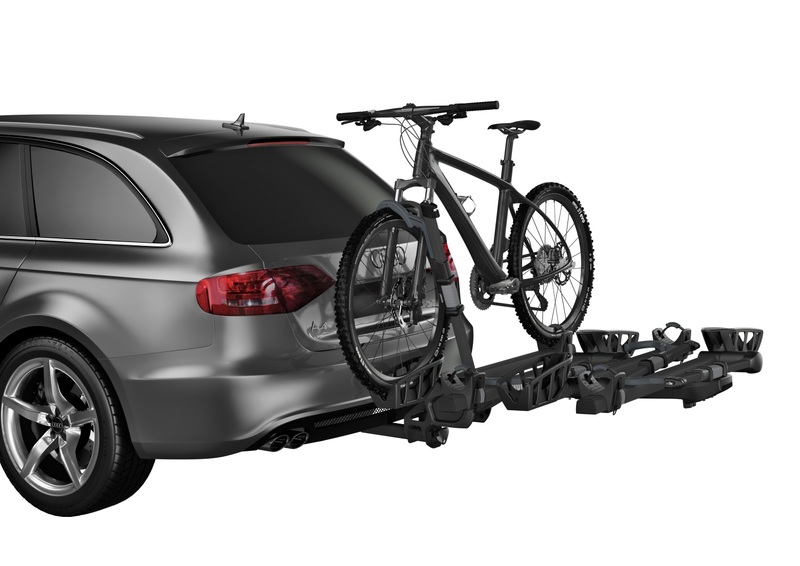 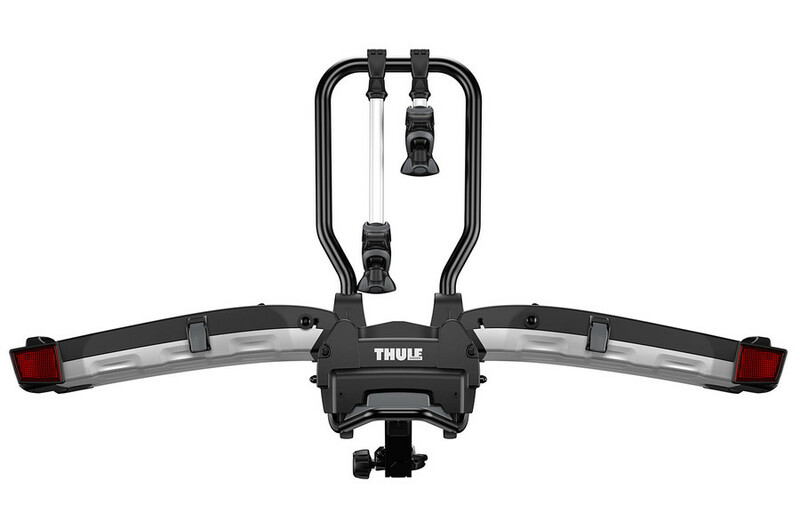 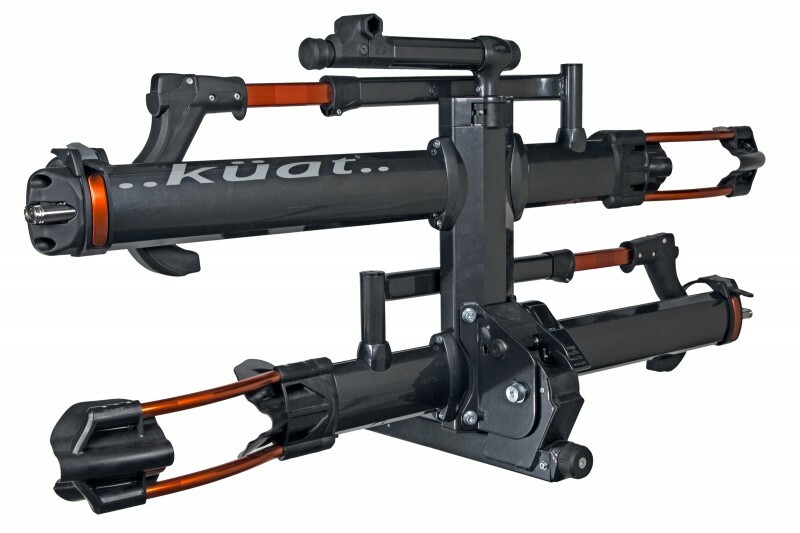 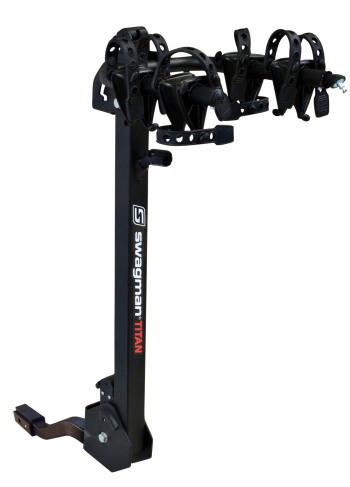 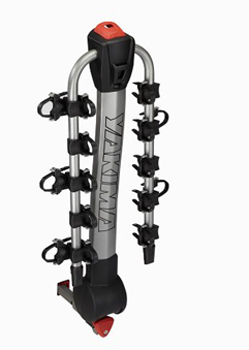 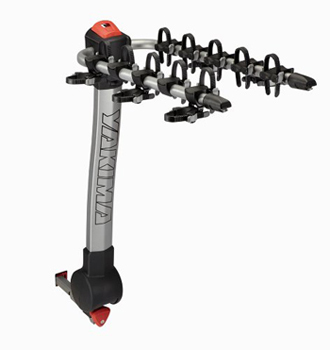 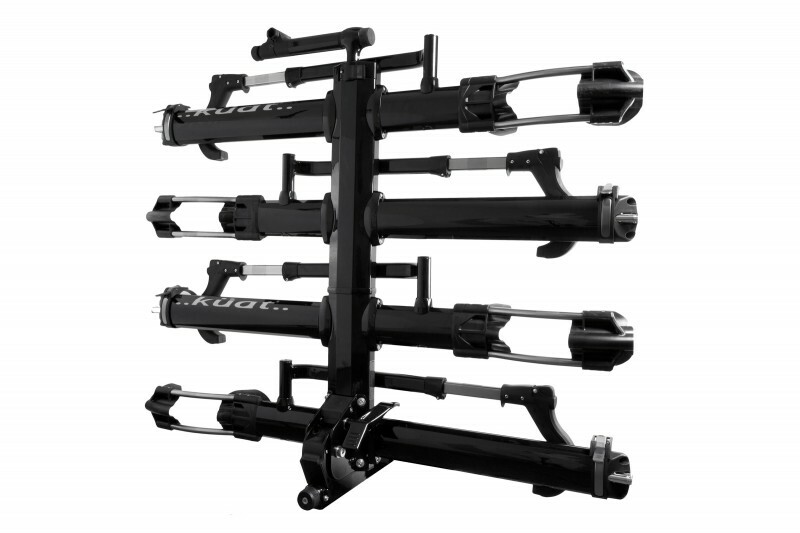 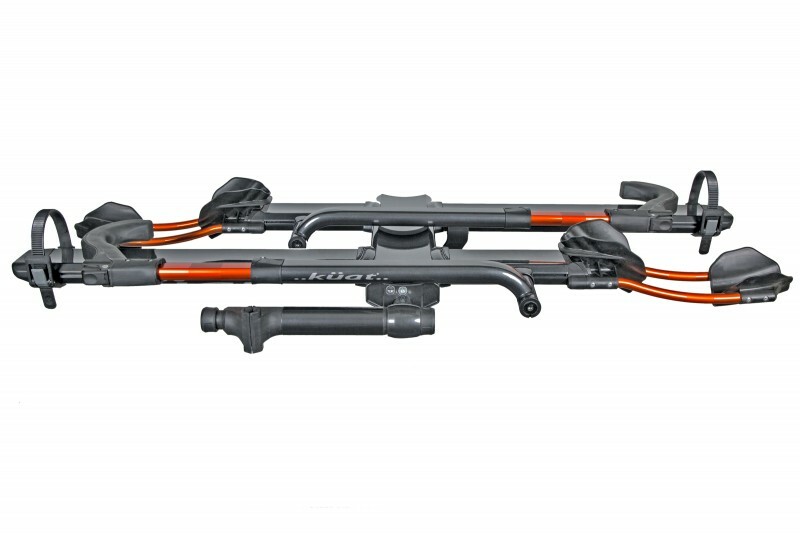 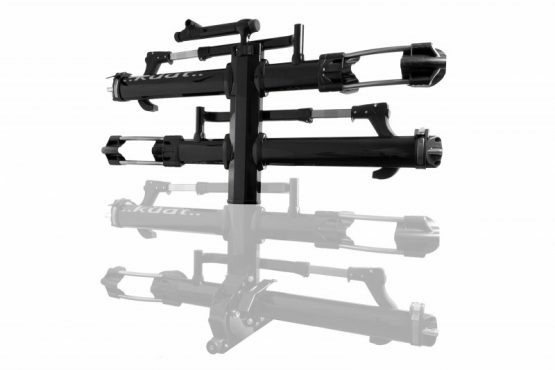 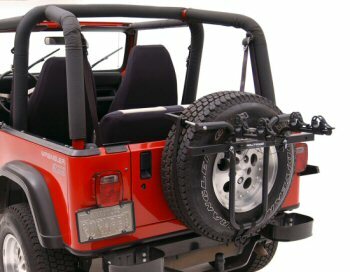 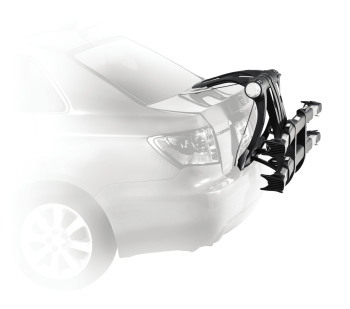 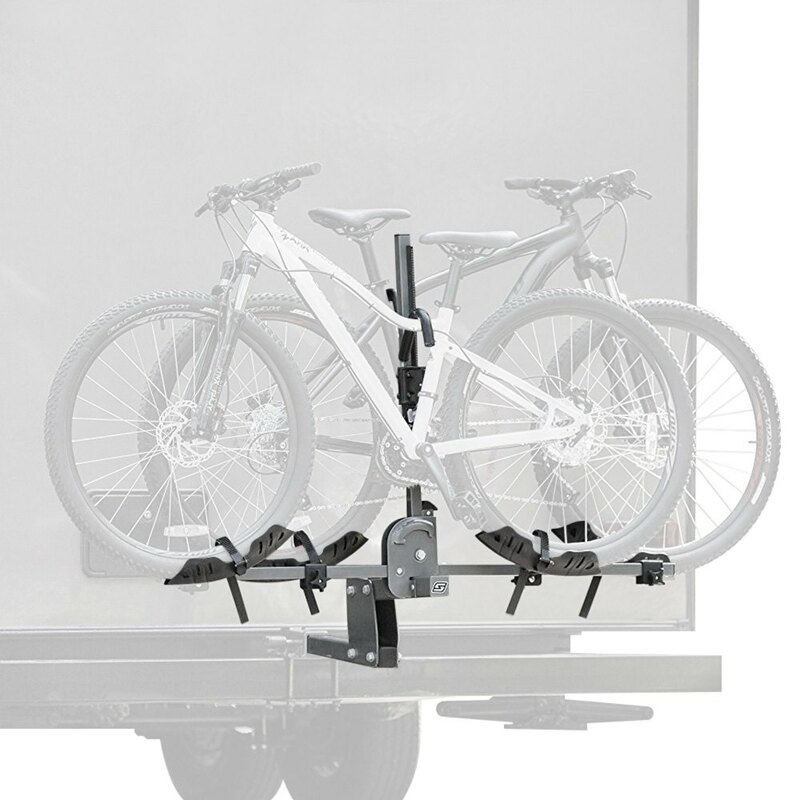 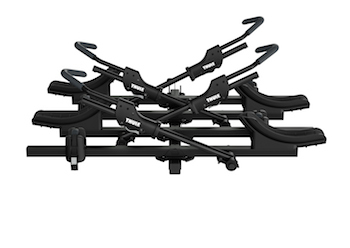 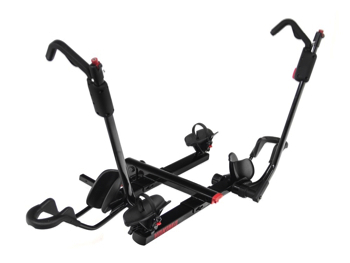 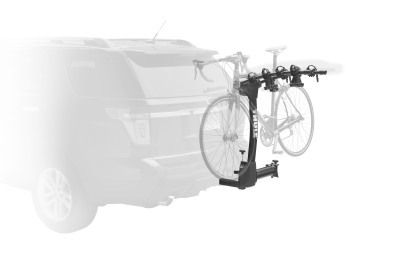 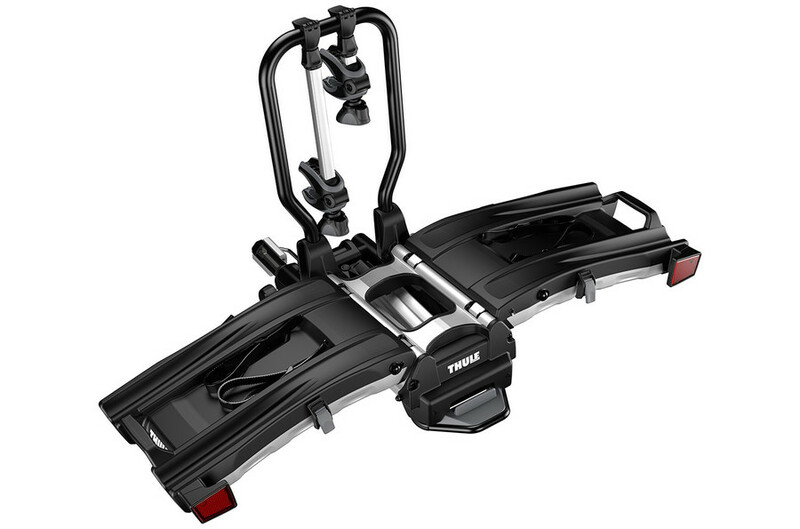 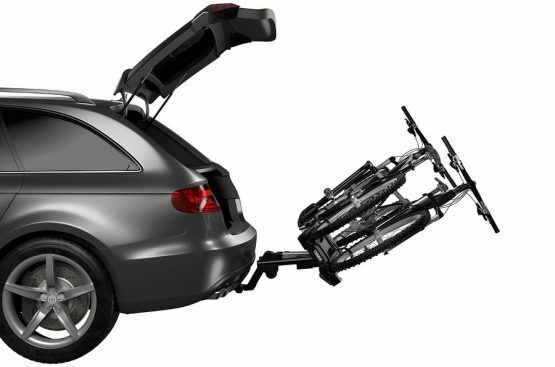 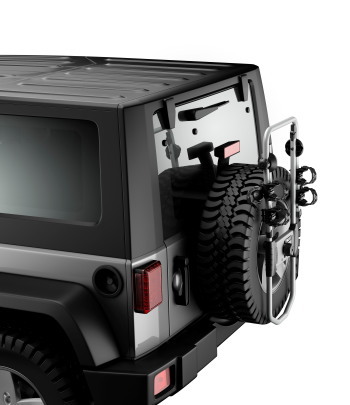 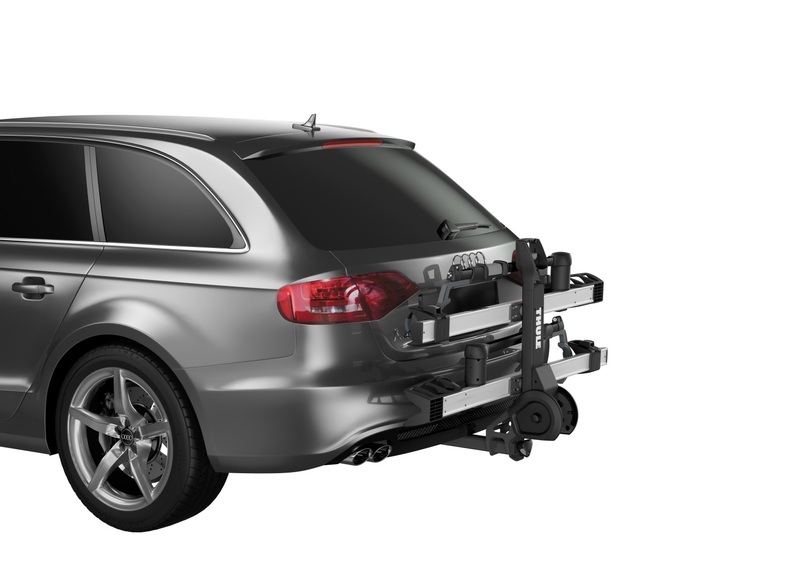 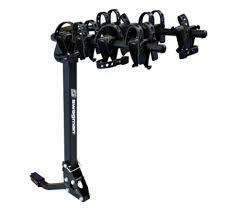 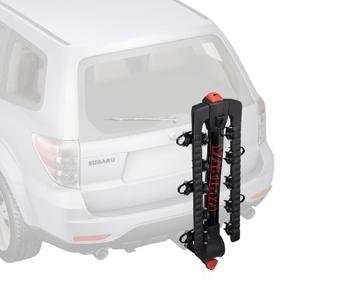 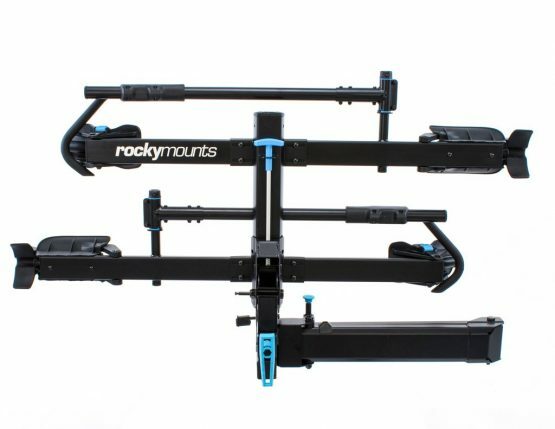 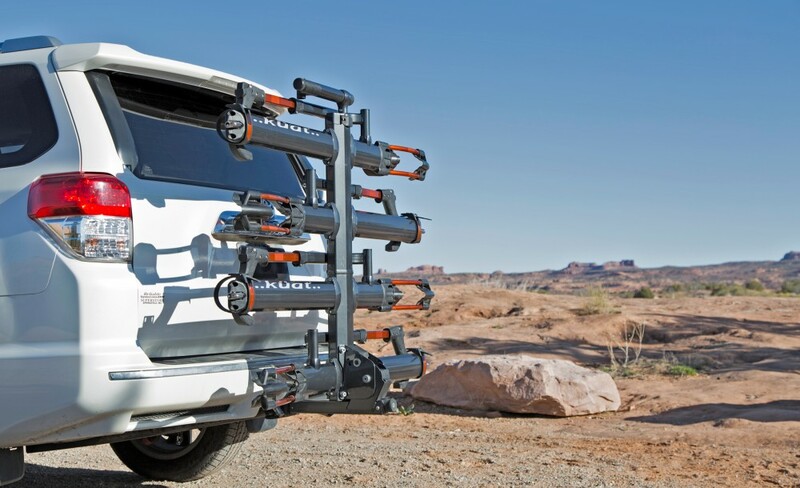 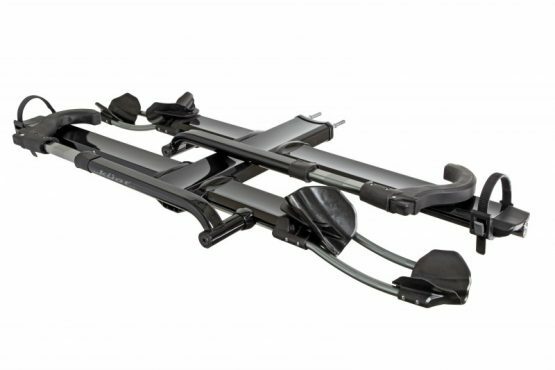 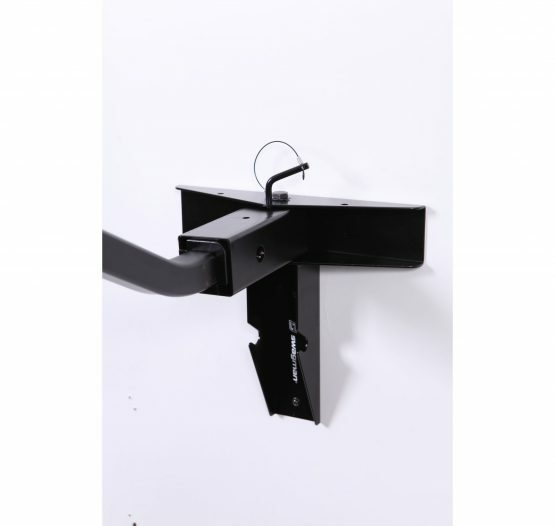 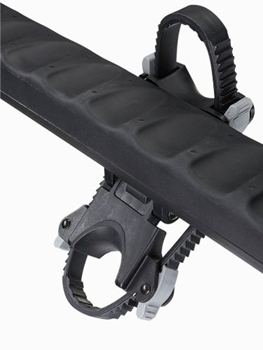 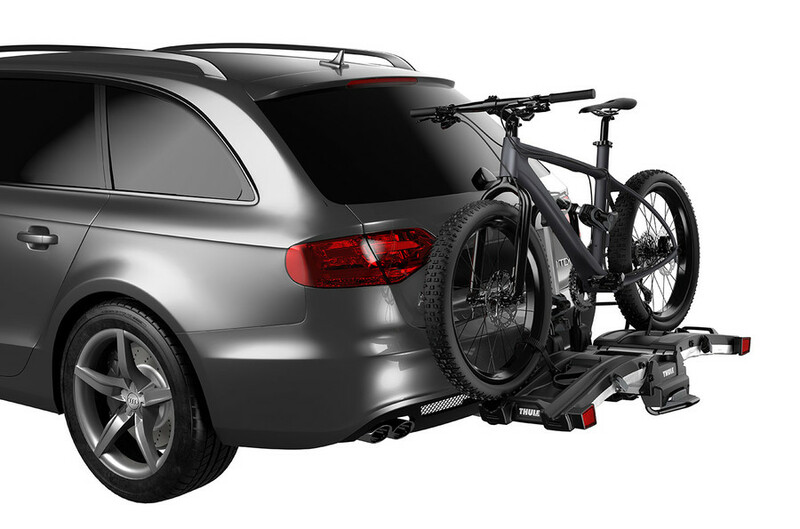 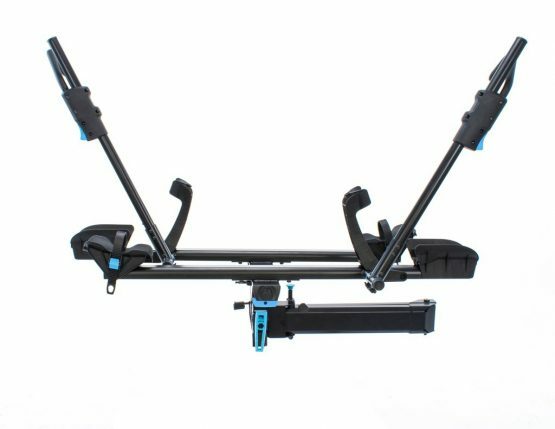 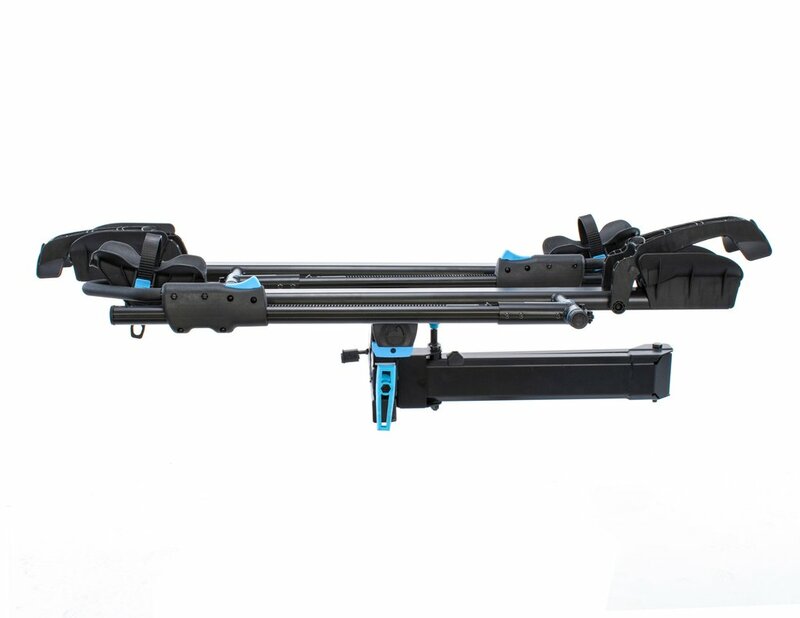 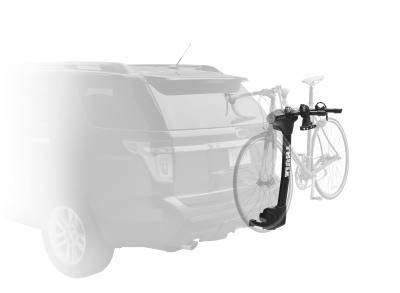 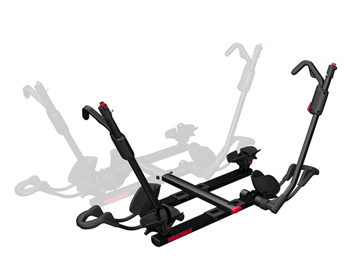 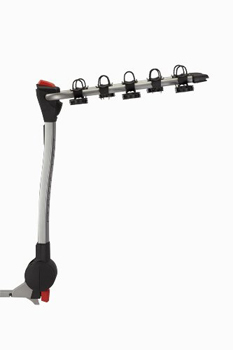 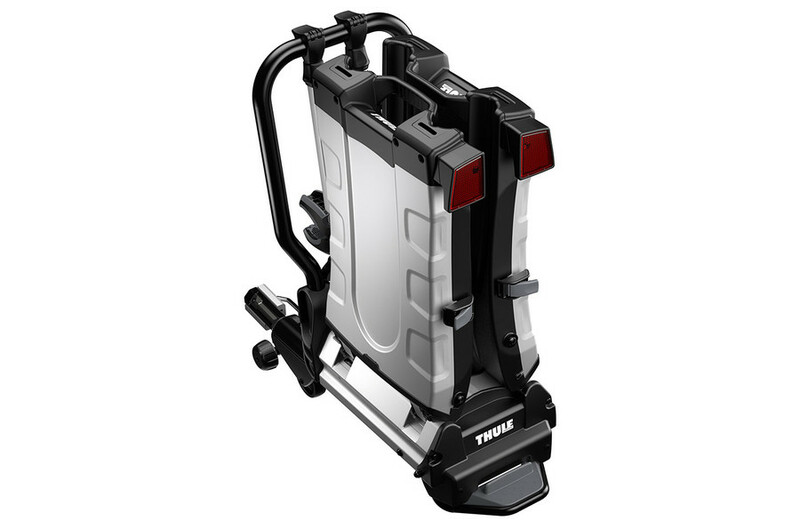 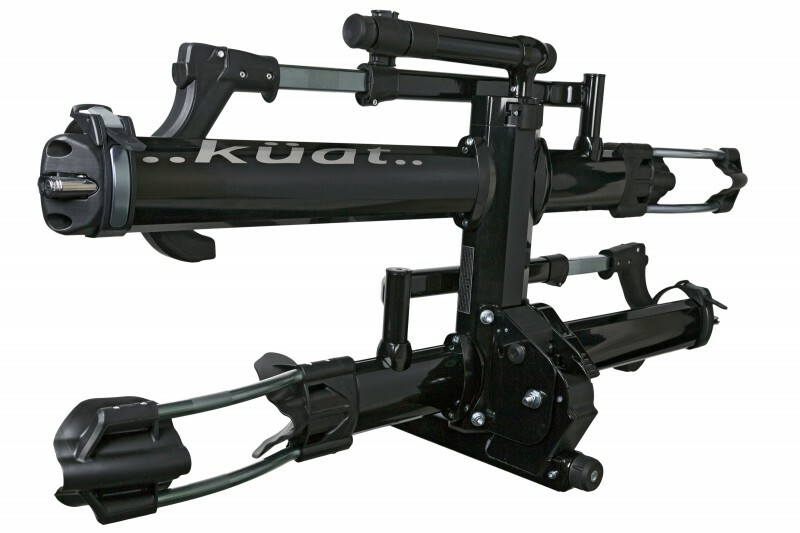 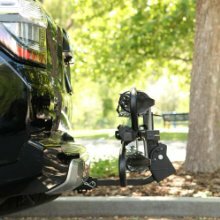 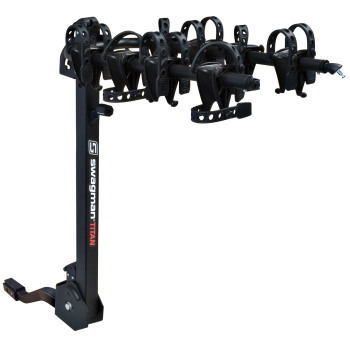 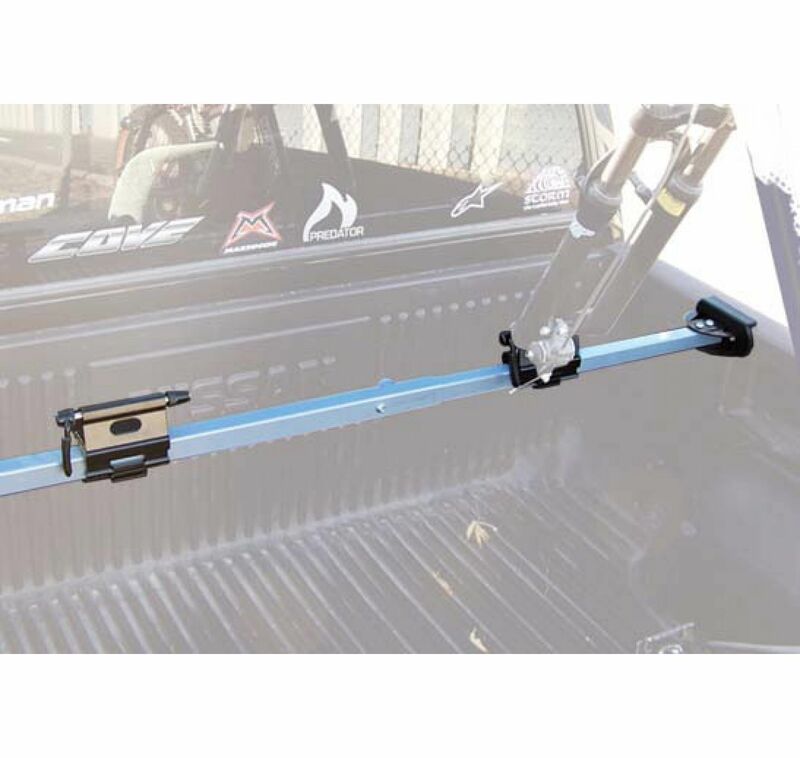 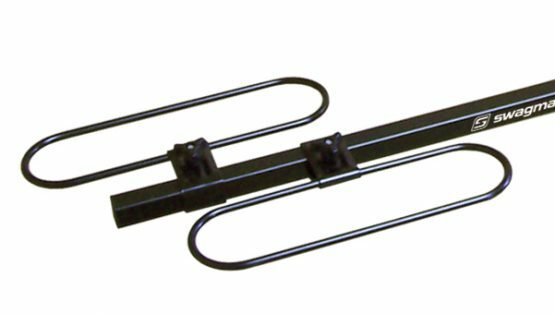 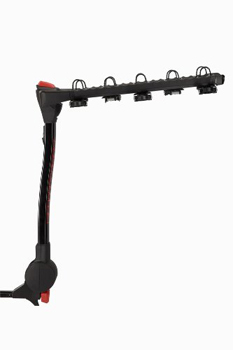 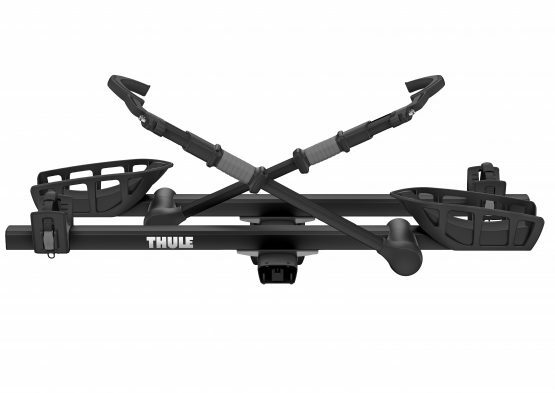 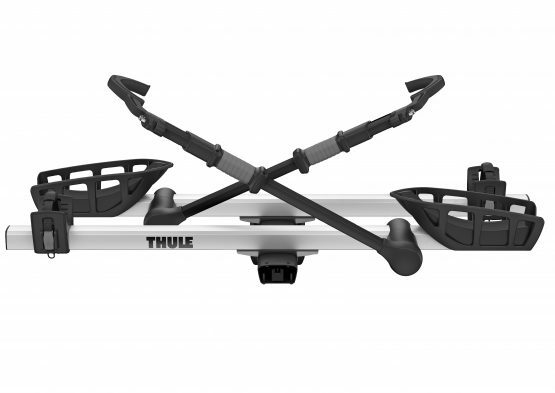 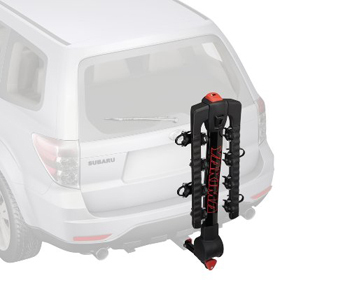 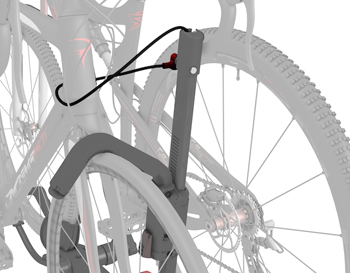 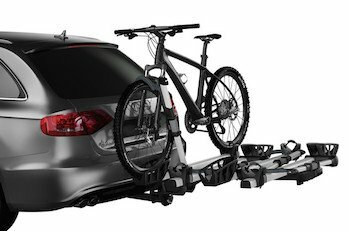 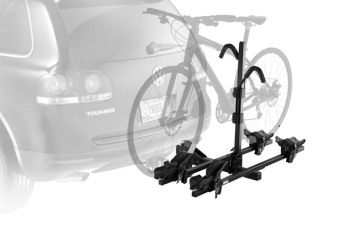 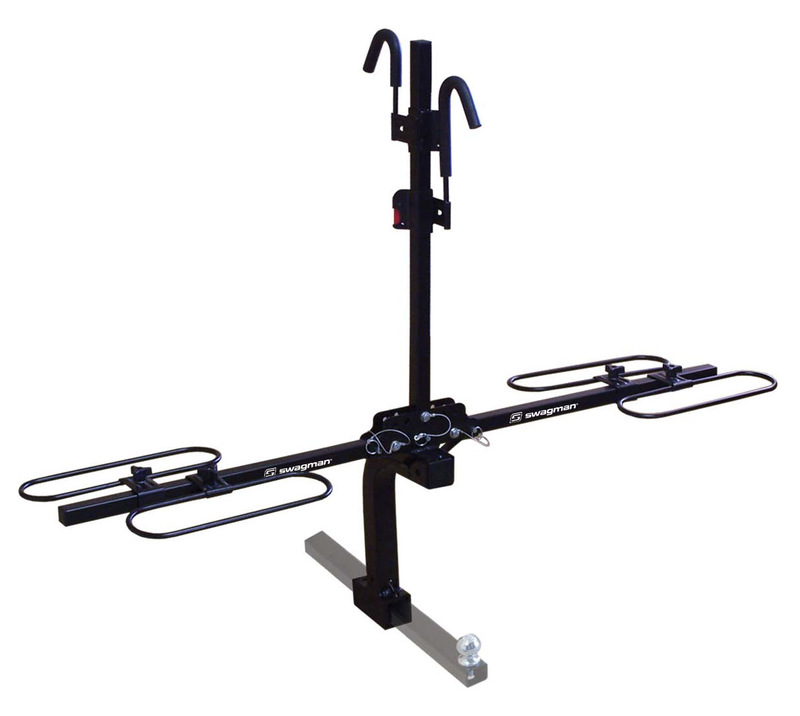 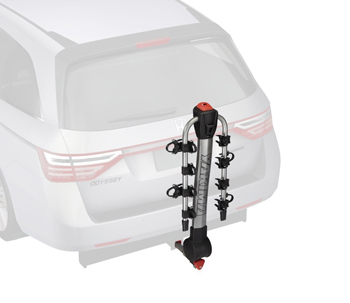 Fully adjustable to fit most rear spare tires, this rack’s support arms can be centered for side-mounted tires, and folded when not in use. 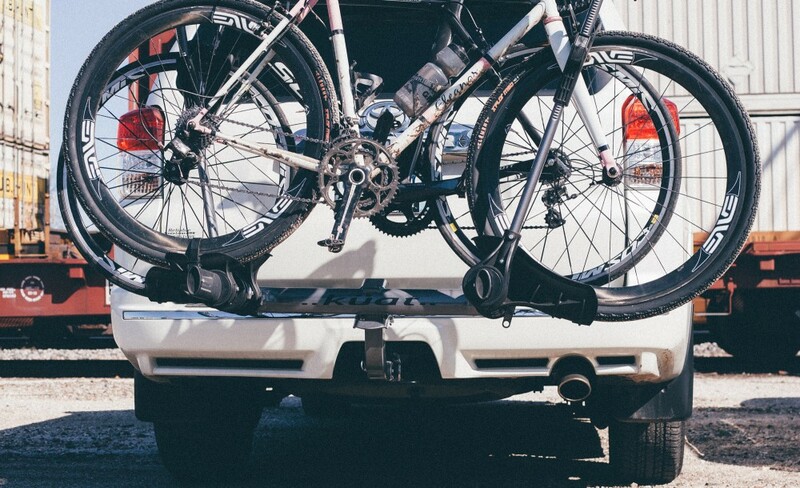 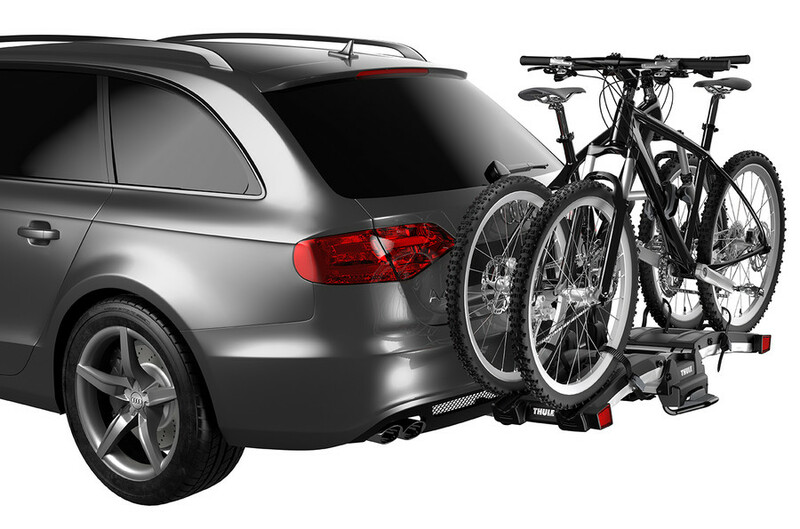 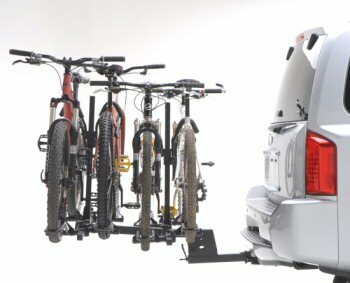 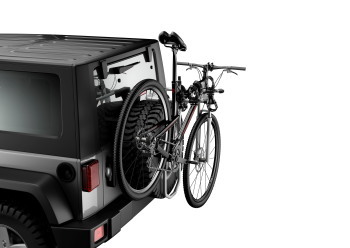 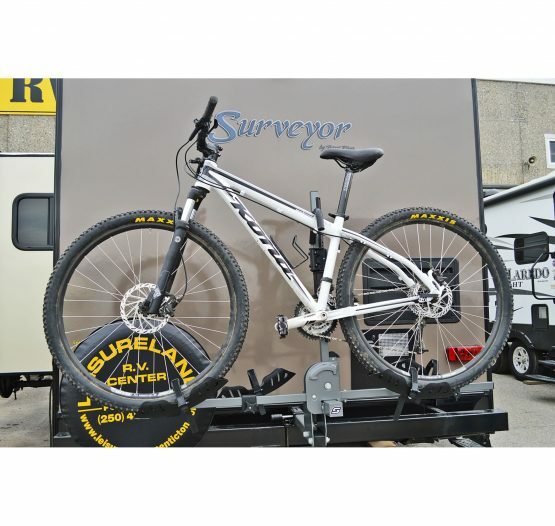 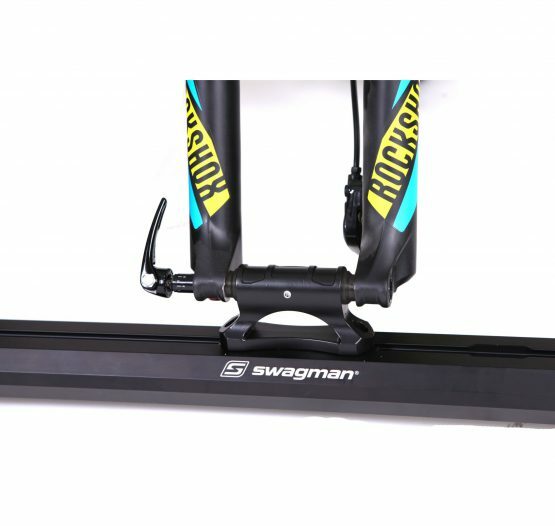 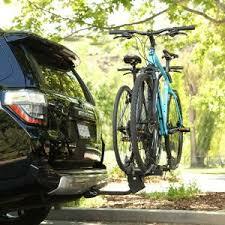 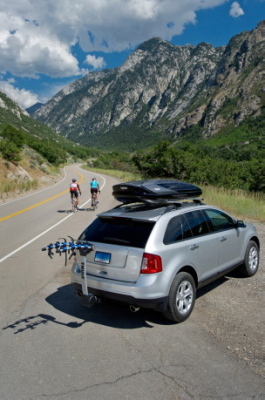 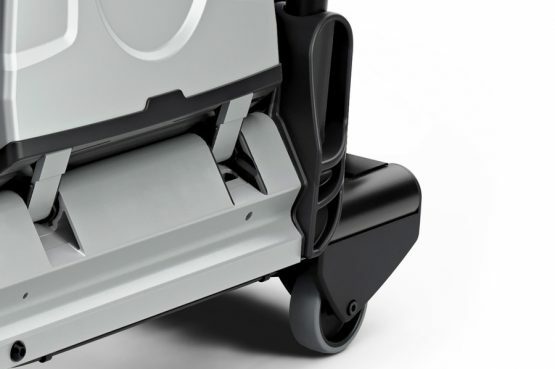 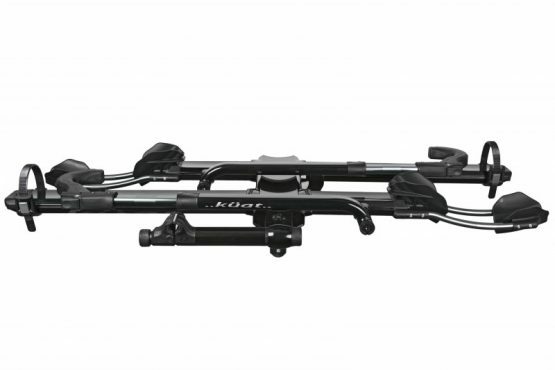 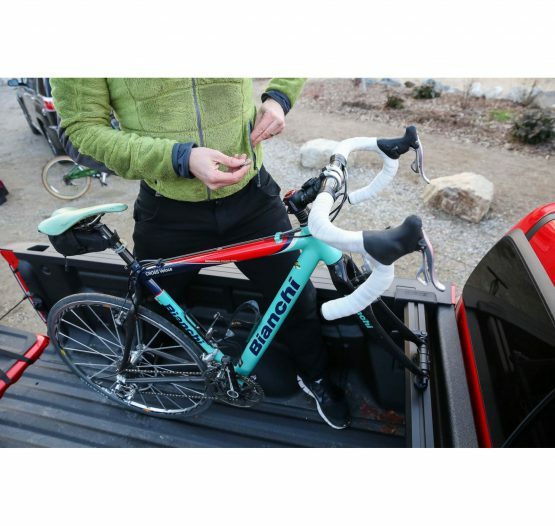 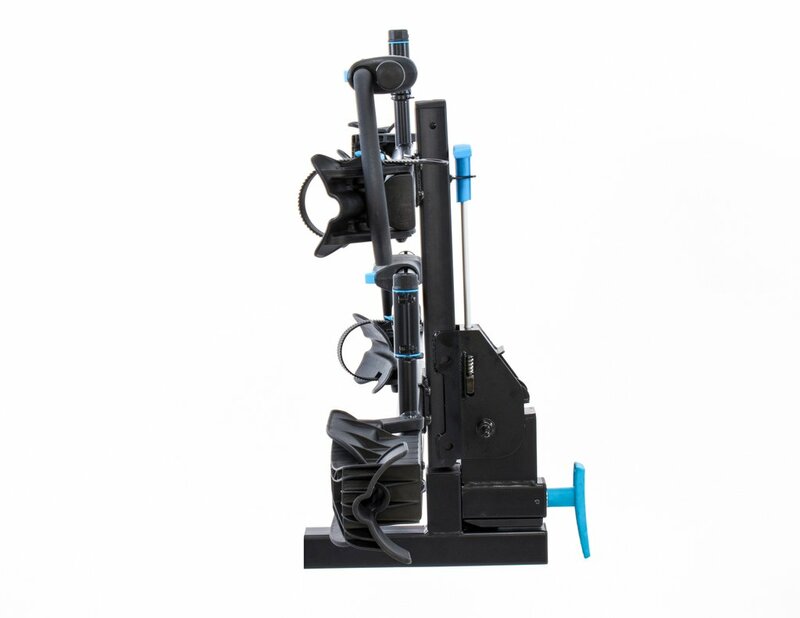 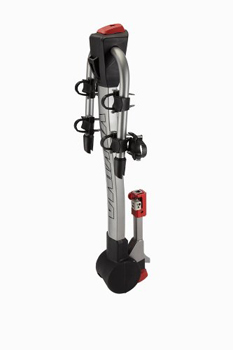 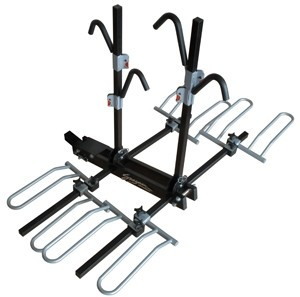 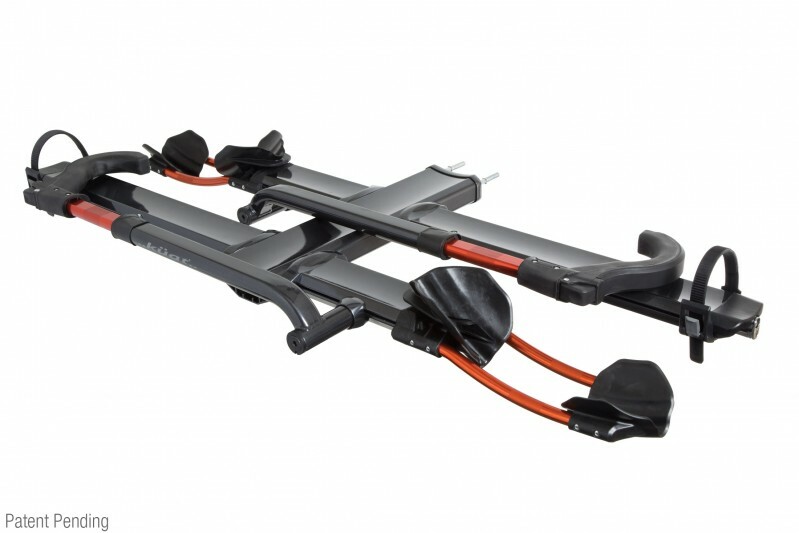 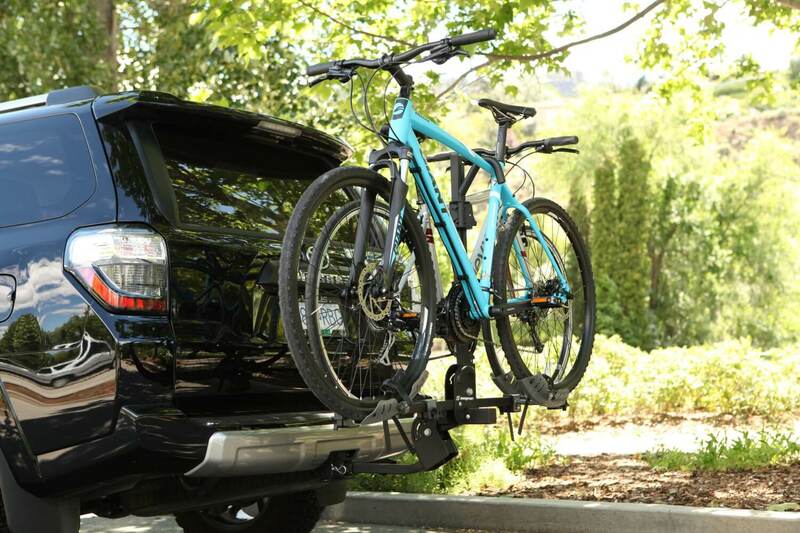 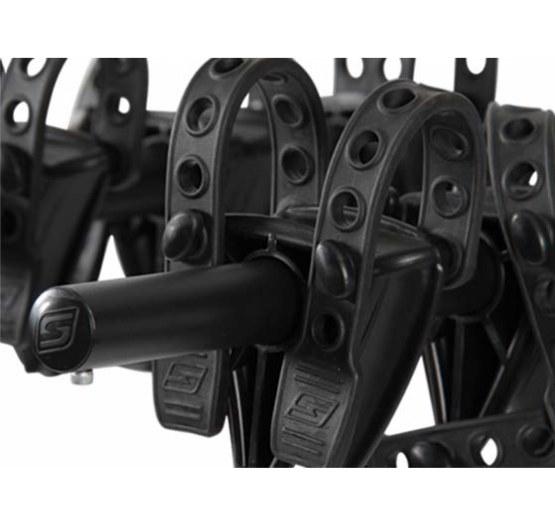 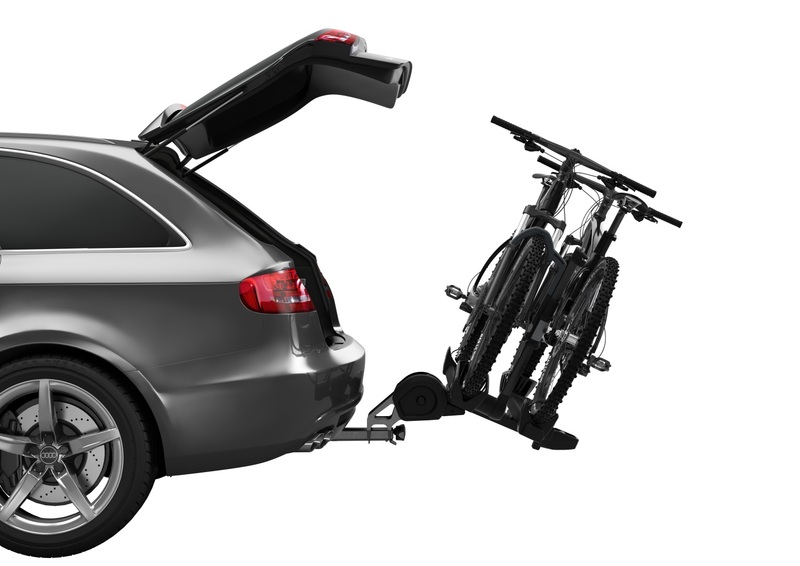 Soft Rubber cradles carries two bikes, comes completely pre-assembled and folds flat for storage.